Apprentices from the Marches Centre of Manufacturing & Technology (MCMT) have played a crucial role in helping turn an exciting new Arts Trail into reality. 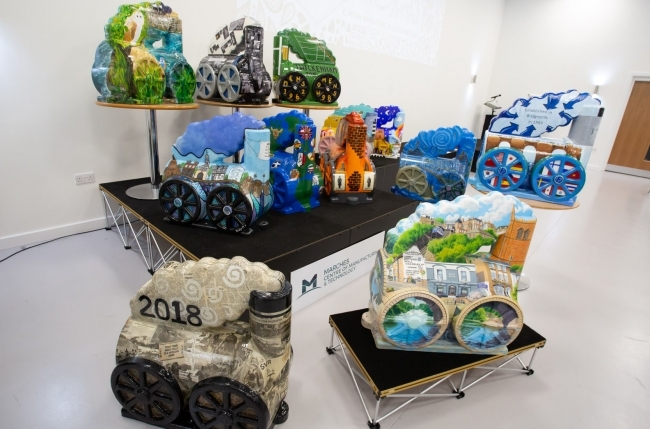 The training centre, along with shareholder partner Grainger & Worrall, was challenged by Bridgnorth Council to produce a casting representing the famous ‘Catch Me Who Can’ locomotive – the world’s first fare-paying passenger train built in the town in 1808. A team of eight budding engineers were given the task as part of their ongoing learning and immediately grasped the opportunity to come up with the right process, starting with a CAD model before developing a sample casting using Digital Sand Printing. When sign-off was agreed, the apprentices – all aged between 17 and 23 – got to work on the actual manufacture, which involved overcoming various complications regarding the security of the statue when in situ, the design and the process for casting the trains. Before beginning production of the trains, the team completed a Magma simulation to predict any shrinkage and porosity issues that could occur during the casting or cooling process. Once manufactured, the statues were then transported to MCMT consortium partner Salop Design & Engineering to be powder coated ready for painting. 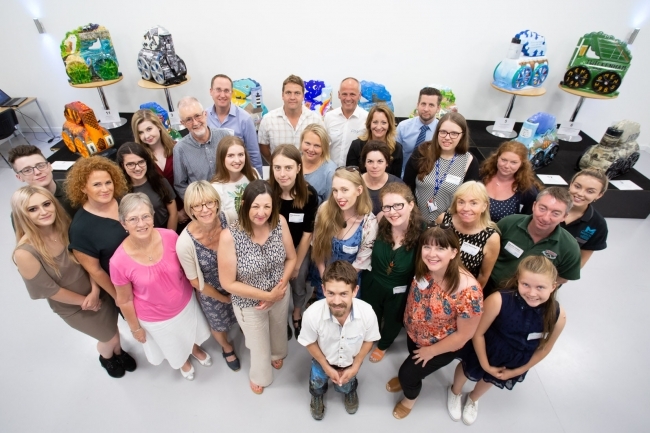 Councillor Sarah Stevens, added: “The Arts Trail will be in place for five years and is a real ‘local’ effort, harnessing the talents of our apprentices at the Marches Centre of Manufacturing & Technology and local artists who have used their skills to individually paint each statue. Ryan Hickman, a fourth-year apprentice and team leader for this project, concluded: “Being able to immediately apply what you are learning to a real-life manufacturing challenge -where you need to consider feasibility, design for manufacture and cost – is excellent experience. The Marches Centre of Manufacturing & Technology is based across two training centres in Shrewsbury and Bridgnorth. The latter was an old storage facility for Grainger & Worrall, which has been transformed into the modern centre, providing a high-tech environment for individuals to learn from engineering experts on the latest technology – all geared towards giving them opportunities to apply their new found skills on real life manufacturing situations.